Are you ready for IMPROV? Improvised theater is an art-form where performers create stories on the spur of the moment. Improv unleashes team spirit, creativity and communication skills, but more than that: it’s simply FUN! This class is FREE and open for everyone ! 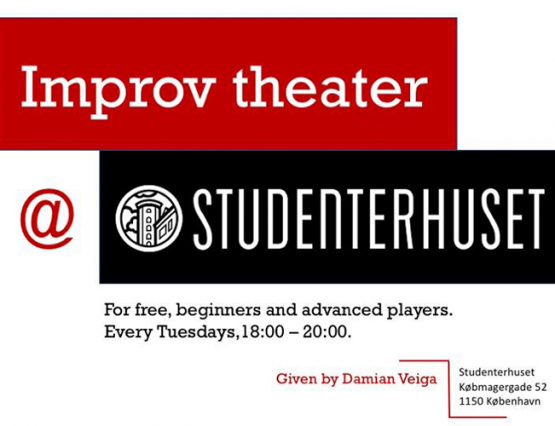 Every Tuesday 18:00-20.00 at Studenterhuset in Aquarium on the 1st floor.